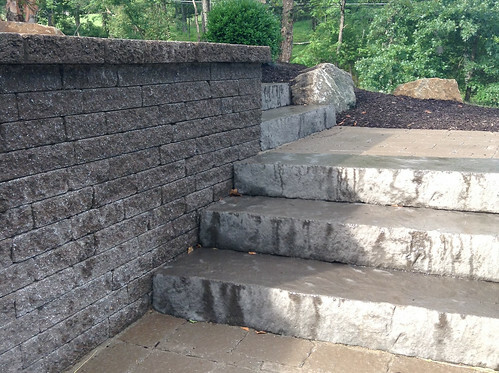 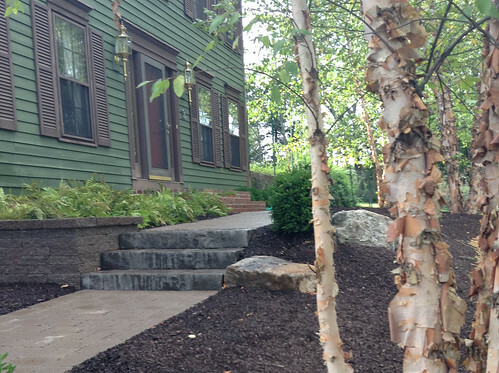 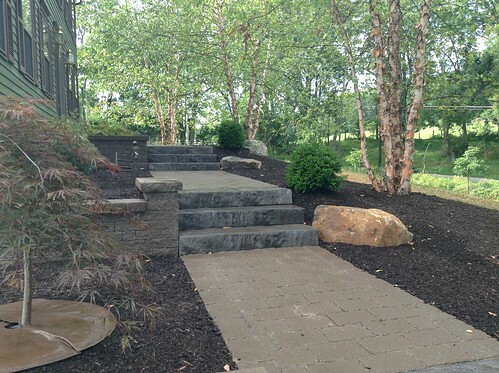 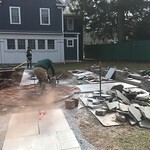 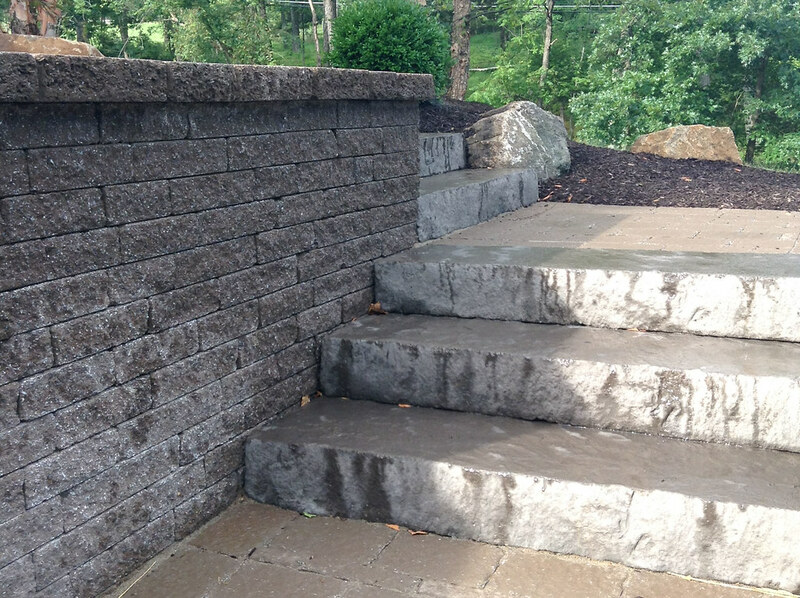 Nestled in the hills of Hunterdon County , Green Piece Landscaping had the opportunity to update a tired hardscape for a colonial located in Flemington. Our design focused on simplifying the design to eliminate the many landings and steps for this elderly couple. 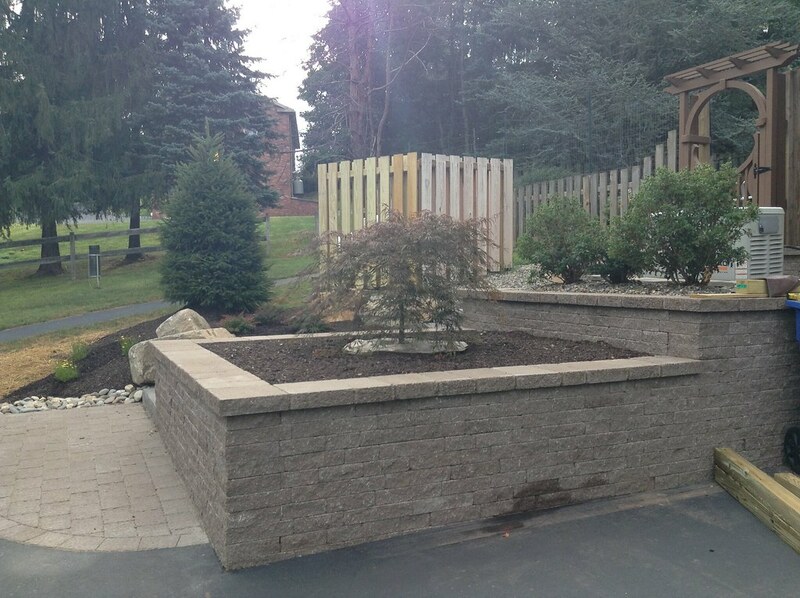 Old tie walls and deteriorating bricks were replaced with new concrete pavers and block walls. 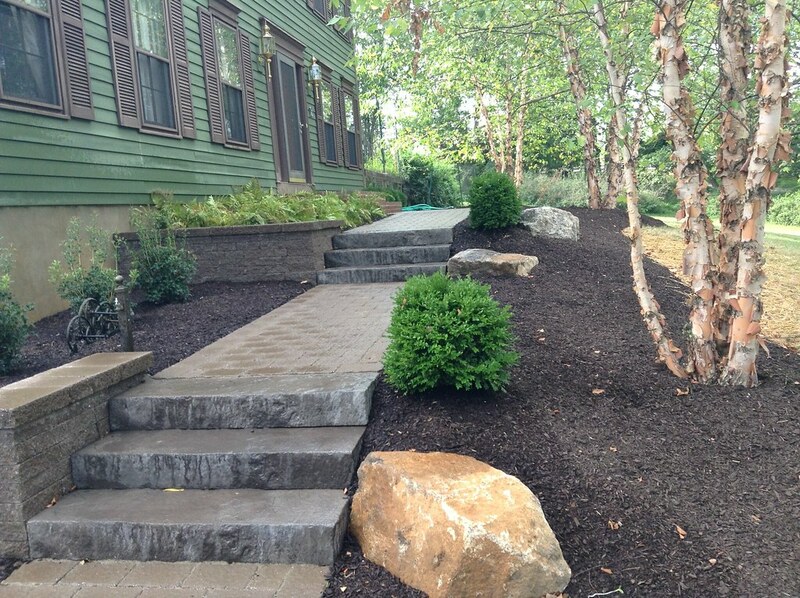 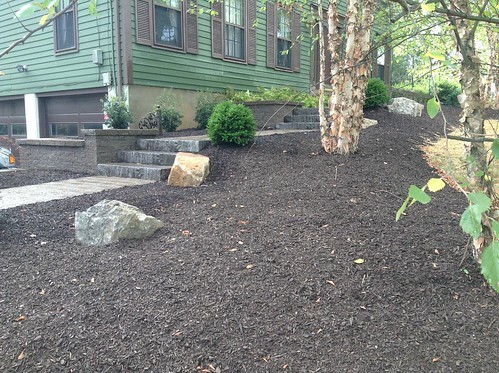 The end result is a very simple, easy to use and maintain landscape with some modest plantings. 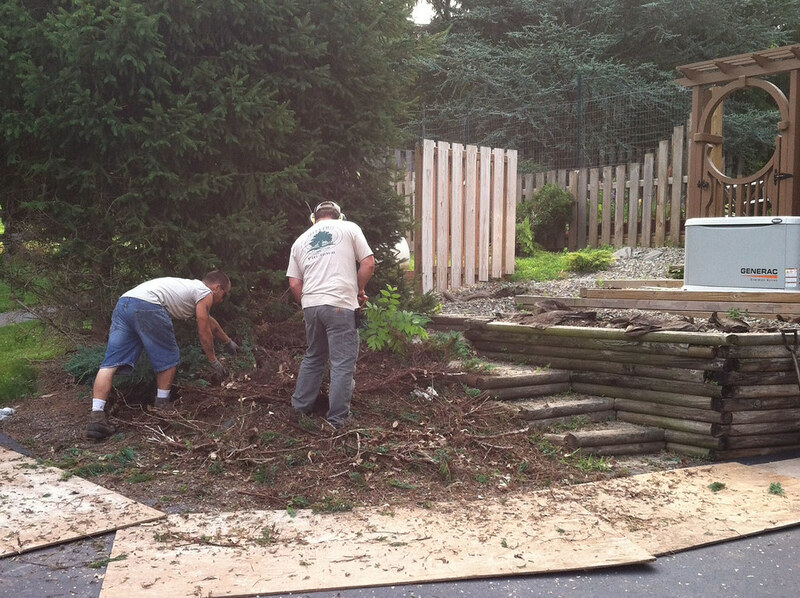 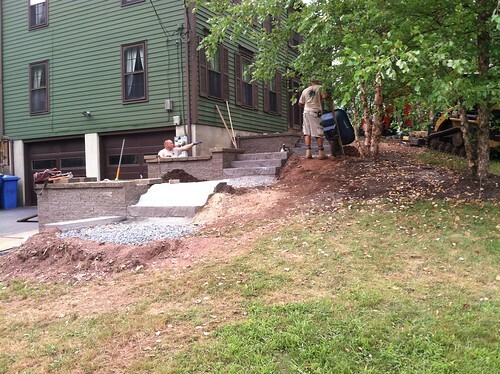 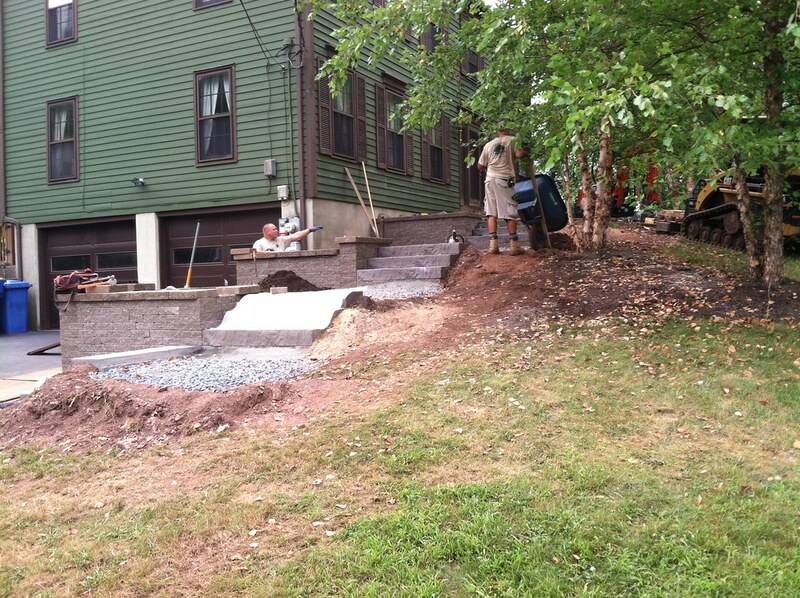 The next phase will include more planting, and updating their rear garden , patio and water feature. 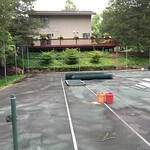 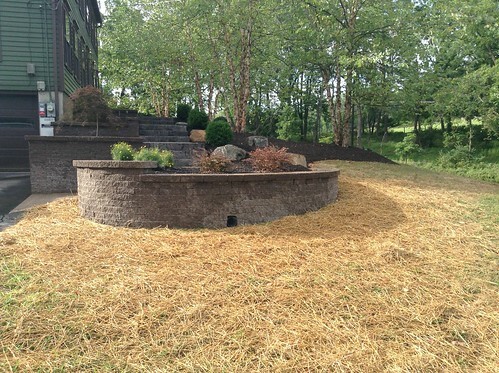 As their kids grew up and our client's lifestyle changed, they wanted to remove a well worn tennis court and return it to a natural landscape. 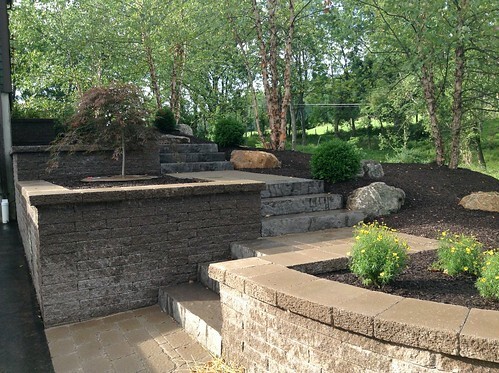 Executing a landscape architect's vision with a built-in pool, waterfall, multi-level patio, and natural garden installation in Califon, NJ. A great period garden project with many site challenges. We designed this formal center axis garden with many grade changes and intimate spaces. 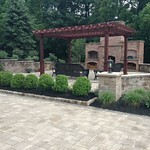 Green Piece Landscaping was invited to design and build a backyard getaway for our new clients in Pittstown, NJ to enjoy for years to come.